I have a sound clip I like to listen to from my most recent trip aboard the Africa Mercy. I recorded it from within my pocket, as we refrain from capturing personal images of our patients for the sake of their privacy. I wanted to savor the sounds of joy from one of our dress ceremonies – special celebrations we have every few weeks for the women with fistula who have been healed. 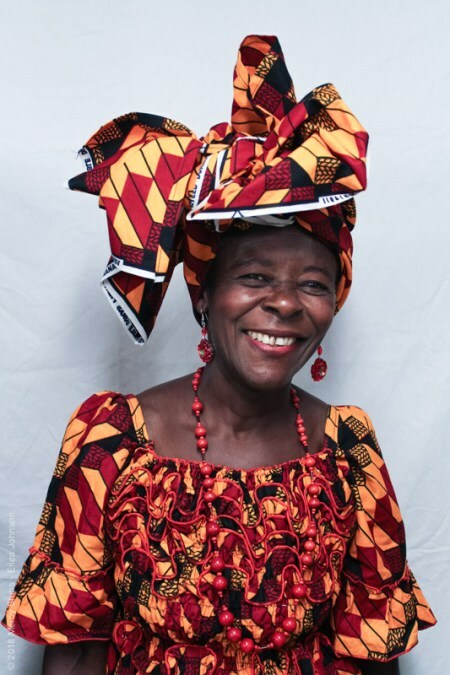 These special women are gifted a bright new dress with a headwrap to symbolize going forth in new life, dry and whole. There is about twenty minutes of singing and dancing prior to the start of prayer and testimony-sharing. Following the ceremony, the joyful music goes on until the chaplains and musicians have to head home. Rarely do I think of any of these entities as being like my mother. And yet, aren’t they all? Jesus the friend is a comforter, a nurturer, someone to celebrate with, someone to lean upon and cry with. God is who I turn to for protection when I am afraid, or when I need to ask for something – for courage, for power to do what is right and just. The spirit is what I turn to when I’m trying to discern the way. Aren’t ALL of these things the exact ways I respond to and interact with my own biological mother, and grandmothers? And with the other women in my life who are generations older and have gone before me? I don’t separate them into functions or roles. I expect (maybe unfairly) for my own Mother to be all of that for me – a nurturer, comforter, advice-giver, encouragement-provider, safe haven. Somehow it is natural for us to think of women in our lives as capable of carrying all of that load, of being earthly examples of all of the best parts of the trinity mashed into one. The Proverbs 31 wife, for example, has got to be the most exhausted woman in history, but we look to her as a model of what a woman can and should be if she is living her life for God. To be so much, to take on so much, feels like it is part of the very essence of being “woman”, and especially of being “mother”. To be “mother” is, in many ways, to be an unstoppable force of positivity and light in this sometimes dark world. So what happens when women lose some of that identity – like our sisters suffering from fistula? When slowly, as they “fail” to complete a long labor, as their babies die, as their husbands leave them, as they are cast out of their communities, they come to find themselves isolated and without direction or purpose? What happens to a woman when everyone stops wanting to connect with her in those ways that allow her to feel like a haven, a helper, a confidante? These women feel like less of a woman, that’s what happens. And when they feel like less of a woman, they suddenly feel less “capable”. They feel ruined, bruised, worthless. Motherhood and womanhood are so deeply and intricately tied together in African culture – often, I feel you could almost use the words interchangeable. When our sisters are robbed of the opportunity to be “whole” mothers and wives, they feel robbed of their very identity. I am so thankful for a Lord who sees any woman as less than whole. Jesus IS like a good mother, seeing the best and most beautiful parts of us at all times — like a good mother who wants to pull us into her arms, rub our back and dry our tears. Jesus is like the good mother who wants to kiss us, bandage us and make it all better – heal our wounds, from inside to out. However you best relate to Him, one thing I know that we all agree on is that He calls us to serve Him by serving others. So we are called to be like good Mothers to our sisters. We are called to love and cherish them, to celebrate them, to work for them and do what we can to ensure they are living their lives to their fullest potential and with the highest quality. Whether you’re a mother or not, every woman can imagine what it would take to empower and encourage you if you were at your very lowest, full of shame and sadness. You would want someone to invest in your healing. You would want someone to tell you were capable of learning a new skill, or a trade. You would want someone to see you – to look past the condition you have and to instead look into the heart in you that hasn’t changed despite the way the rest of your body maybe has. You would want someone to mother you. Those of us who are “whole” are called to be the hands and the feet of Jesus — and I think that often means being everything a mother would be, until these women are strong and confident enough to return to that role on their own. We want to make sure that these precious women know that they are loved this Mother’s Day, that they are cherished by other women and mothers the world over. We want them to be strengthened by an outpouring of love and support so that they can continue to be restored, both physically and spiritually. We hope that in turn, they can return to their communities as positive change agents, advocating against conditions and practices that lend themselves to the injustice of fistula. They can become stronger women and better mothers because of the love they received from US. 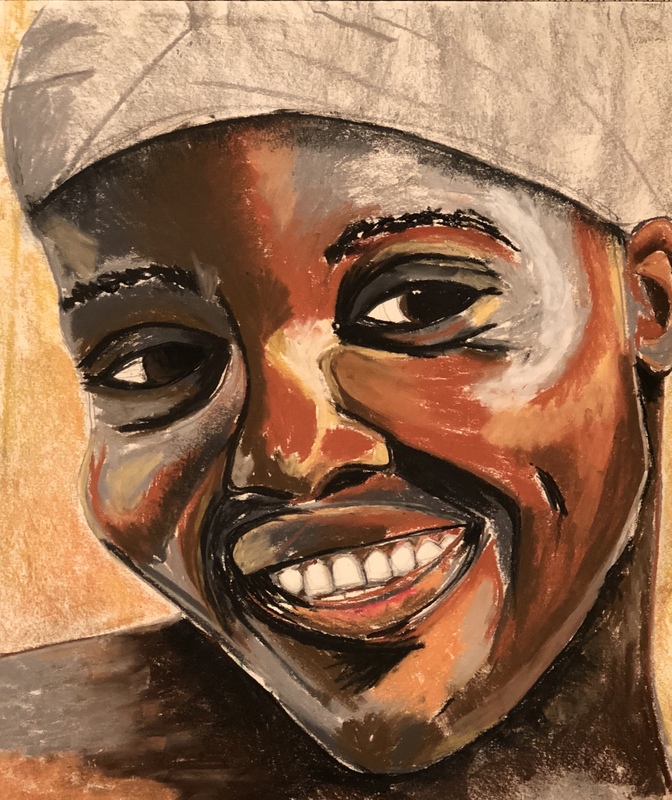 Hope for Our Sisters is currently generating hope and raising funds through our Mother’s Day Gift of Life Campaign to support our work with our precious sisters in Angola, the DR Congo and Nepal. If you want to help us generate more hope that ever, go to http://hopeforoursisters.org/donate-online/ to make a donation. For a minimum $25 donation, we will send a beautiful Mother’s Day card to a mom in your life if you provide the needed information in the text boxes on the online donation form. Thank you!